S (Scripture): 1 Corinthians 7:25 With regard to the question about people who have never married, I have no command from the Lord, but I give my opinion as one shown mercy by the Lord to be trustworthy. O (Observation): Paul is addressing local Corinthian customs about marriage. Paul is delineating here about opinion versus a hard truth. I love Paul’s clarity…that this is his opinion. A (Application): From my perspective, being married takes a lot of time and effort to maintain a healthy and fruitful relationship. We lean on the Lord to guide us and direct us, so forgiveness is a huge part of what we do as a couple. That spills over into other relationships. A concept that I would lift up to you is “family on mission.” This is something that Mike Breen, author of a book entitled, “Family on Mission,” puts forth. He suggests that the definition of family be shifted to that of individuals, couples, and families come together as an extended family of sorts, bound not just by blood, but by a relationship forged by the Spirit. 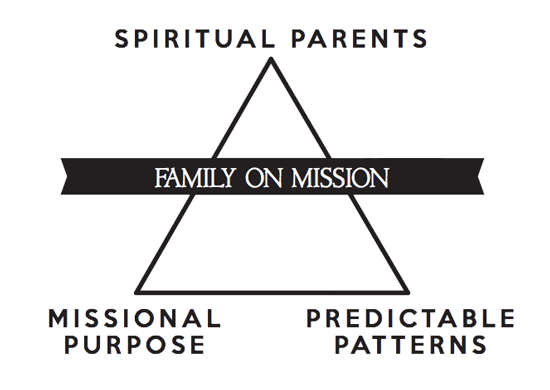 In this “family,” worship, nurturing of relationships, and mission would occur. In this way, people of all walks of life can find a place to exist and thrive, creating a small community that is lightweight in structure, but strong in Spirit. Sometimes congregations develop these types of sub-communities within the larger faith community, but these are rare. Establishing such a community would help individuals and families share their struggles and their strengths, thus responding to Paul’s concerns. Check out the book, “Family on Mission,” here. P (Prayer): Lord, whether we are single, divorced, widowed, or family, your a Spirit has the ability to bridge our unique paths into one family. Guide us and encourage us to nurture friendships into a family on mission together. Small enough to care, and large enough to dare great action. Amen. This entry was posted in Digging Daily and tagged Corinth, family, Jesus, Married, Paul, Single, Spirit. Bookmark the permalink. Marriage is not always easy. It requires sacrifice and trust, somethings that faith communities rely on as well.